Everglades is located in a quiet residential area; a 5 minute walk from Oswestry Town centre & Oswestry School. We are different to a traditional Bed & Breakfast because all Suites have their own private entrances; giving guests greater freedom & privacy but with attentive service on-hand. 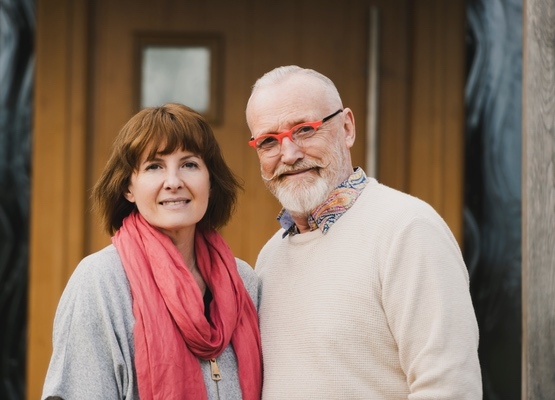 Jo & Vern have been welcoming guests for over 5 years & have excellent guest reviews: Booking.com 9.7/10, Trip advisor 5/5. Set in an acre of garden, there is ample secure parking & lots of places to sit & relax outside. Unwind in our wellness room & Finnish Sauna, which can be booked for exclusive use. Breakfast is optional; with a selection of hot & cold items served to you in a hamper to enjoy in your room; sitting at your own dining table overlooking the garden or breakfast in bed! There are 3 spacious suites to choose from; decorated to an excellent standard, with a boutique modern feel. The Luxury 2 bed Cabin set in a secluded part of the garden, embraces the concept of ‘amazing small spaces’; a fun alternative to your stay. Facilities include free wifi, smart TVs, tea & coffee makers, mini fridge, games & books, mini safe, luxury toiletries & slippers & bathrobes. The Oak Suite & Luxury Cabin are mobility friendly; please see our Access Statement for full details. The Cedar Suite has a King Size bed, luxurious bathroom with freestanding bath & stunning garden views. The Oak Suite has 2 double beds, en-suite with shower, small kitchenette & private patio onto the garden. The Elm Suite has stunning vaulted ceilings, chandeliers, king size bed & free standing bath with TV. The Luxury Cabin set in a secluded part of the garden, embraces the concept of ‘amazing small spaces’. Sleeps 3 guests in one double room, one single room, with a separate lounge area & en-suite shower. Exquisite digs!! The Chalet was spotless and had every conceivable extra you could want - from starlight on the 2nd bedroom ceiling, to a multitude of games and puzzles to keep you occupied. The place was spotless, breakfast was divine, and the hosts were the friendliest, most welcoming couple you could ever hope to meet. A++++, highly recommended. 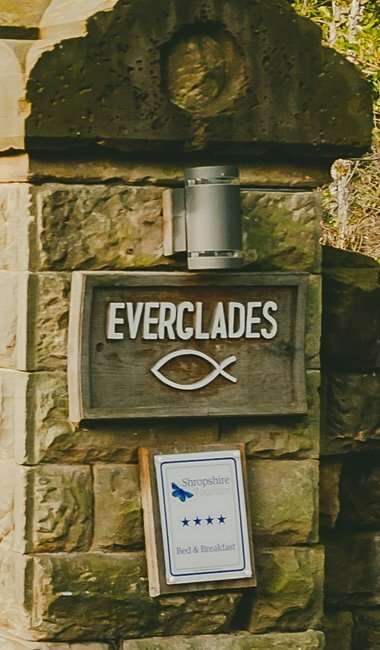 Welcome you to Everglades Luxury Residence, a boutique stay nestled in Oswestry, Shropshire.